Rocky was born in 1987 in Liverpool and christened Michael, but owing to his 10 lbs birth weight his father nicknamed him ‘The Rock’. He started out boxing in Stockbridge ABC and still retains close links there, not least through his nickname “Rocky from Stocky”! 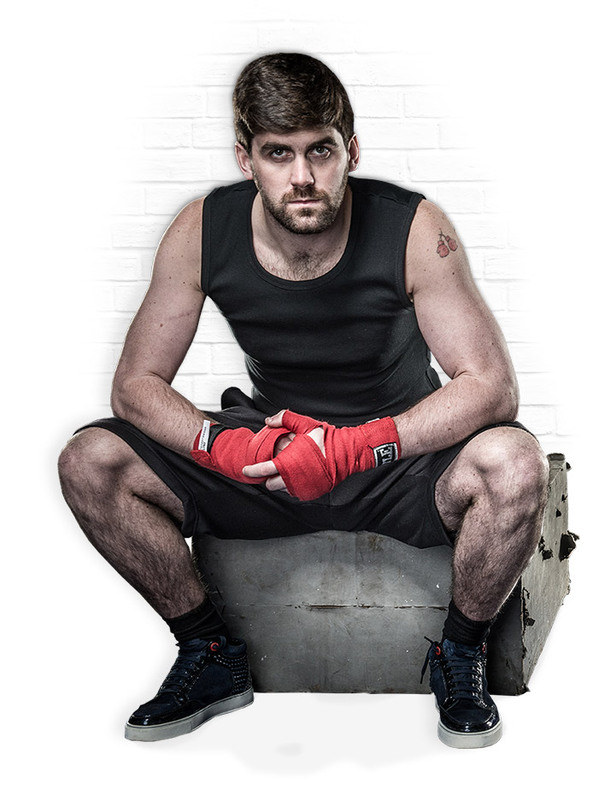 He had a good amateur career, representing England and reached the 2007/2008 ABA Light Heavyweight final. Rocky really announced himself within British boxing by not only winning Prizefighter shortly after turning professional in 2010, but being the first boxer to win via stoppage in each of his three fights. Rocky went on to win the English Super Middleweight title in 2012 defeating Carl Dilks. The following year he defeated Mohammed Akrong to win the vacant Commonwealth Super-Middleweight Title and has made significant technical improvements by working hard with trainer Oliver Harrison, to add to his natural power. Changes in training and preparation helped Rocky to deliver an excellent performance in his 19th fight on 12 July 2014 in his hometown in which he claimed the Super Middleweight WBA Intercontinental belt, with a TKO of the highly respected Noe Gonzales in round 5. This drew parallels with George Groves who in his 19th fight beat Gonzales in round 5, a fight that propelled him to fight Carl Froch for the world title in 2013. Rocky had an operation after the Gonzales fight to address an injury he carried through both that fight and the previous one against Adamu. Frustratingly, this kept him out of the ring for the remainder of the year. Returning to the ring in 2015 will kick start what has the potential to be a great year for Rocky, as he looks to move up the rankings towards realising his ambition of becoming, and staying, a World Champion. Rocky is currently ranked 8th in the world by the IBF, and 11th with both the WBA and WBO. Outside of the ring Rocky is very close to his family and friends as well as his two dogs. He also loves watching boxing, as well as soaps! Rocky enjoys chatting to his fans and it is this, combined with his humble attitude and track record of delivering exciting fights and KO’s, that makes him one of the most popular fighters in and out of Liverpool. As a very proud scouser he loves fighting in his home city but is looking forward to fighting all round the UK and abroad and meeting more fans that are part of an ever growing Team Rocky. As a scouser, is he a blue or a red…. ?